I wanted to pass along an event that I along with Charmaine Crooks am putting on that is called Our Cityride. If you feel that the German community may be interested in taking part please pass along the event details. I ask because we are working closely with the Dutch Consulate for their initiative in the International Ride and we are welcoming like minded nations to join them. The 17km ride is an all inclusive non competitive ride that will go through all the iconic spots of downtown Vancouver that begins at 5pm from David Lam Park. The family friendly festival will be open between 3-9pm and will have a signature band play, an open beer garden, kids zone, Expo, Food Trucks and free bike Valet. There will also be some really cool prizes awarded, such as complimentary flights from Vancouver to Amsterdam curtesy of KLM Royal Dutch Airlines, a Norco Bike and tickets to future Canucks & White Caps Games. Only $20 for adults and U18 are free. More information can be found at www.ourcityride.com This is a not for profit event run under our 365 International Sport Foundation, held on August 19th, 207. If you need any other info let me know. Thanks in advance for anyone you could circulate this to in the German community. 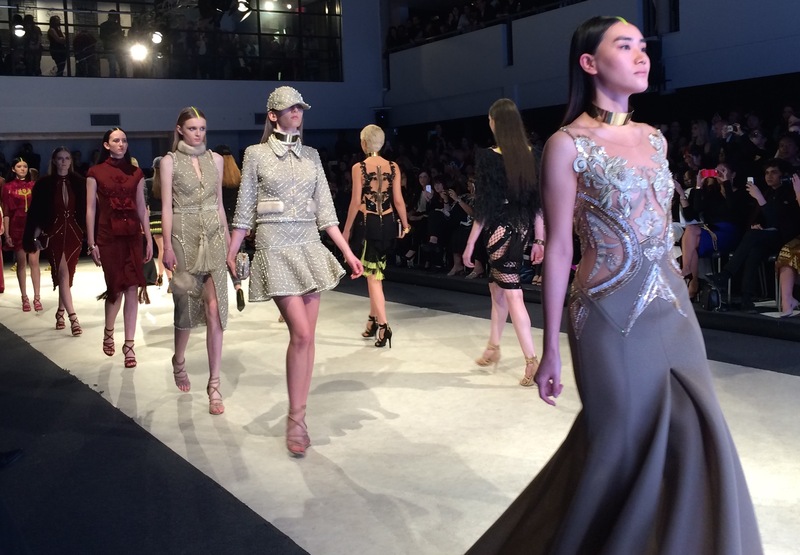 There are all kinds of things going on at the Vancouver Fashion Week. 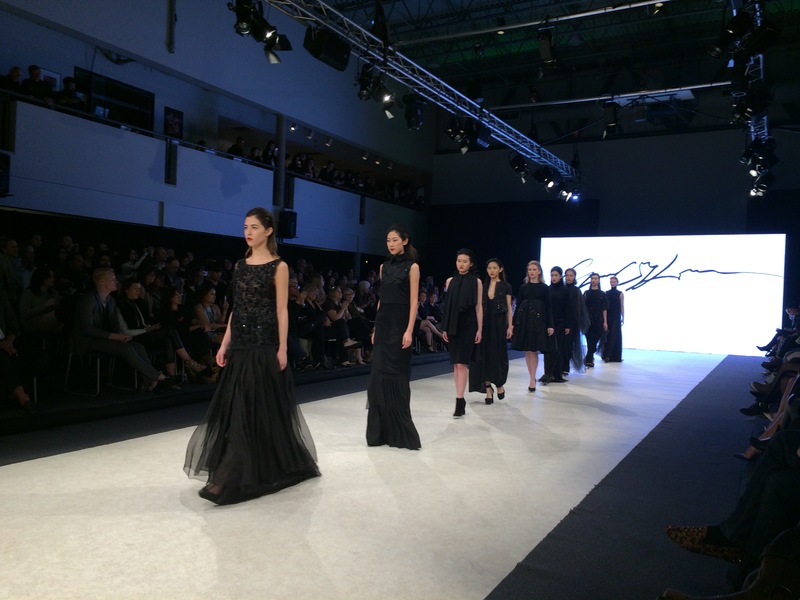 There were around 79 fashion designers from all over the world who participated. My main focus is any designer who is from Germany, Austria or Switzerland. This time around, the only one I could find is Munich born Simon Barth, who now resides in Vienna. The event is on this week from September 19th to Sunday, September 25th. Simon Barth was on Monday, September 19th at 9 pm. It was hopping. Every seat was filled out, the media had shown up full force and there was literally standing room only. My suggestion would be they find a bigger venue. They are starting to outgrow the place. I am sure it would be hard to find another location, but popularity leads to crowds and too many of those and even some people who had paid for a seat didn’t get one. I got there Monday when JAC by Jacqueline Conoir was showing and took this picture that I like. It is somewhat intimidating to be standing next to all of the media giants of Vancouver who came in with their professional camera equipment, but it was still fun. Then I asked the volunteers to take a picture of me and here it is. And finally, here is the man himself – Simon Barth. Simon Barth, who lives and works as a Designer in Vienna today, has been impressed by Haute Couture and gorgeous embroideries since his early childhood. Fascinated by fashion, artwork and models he first came to a Munich couture studio where he learned his tailoring skills. 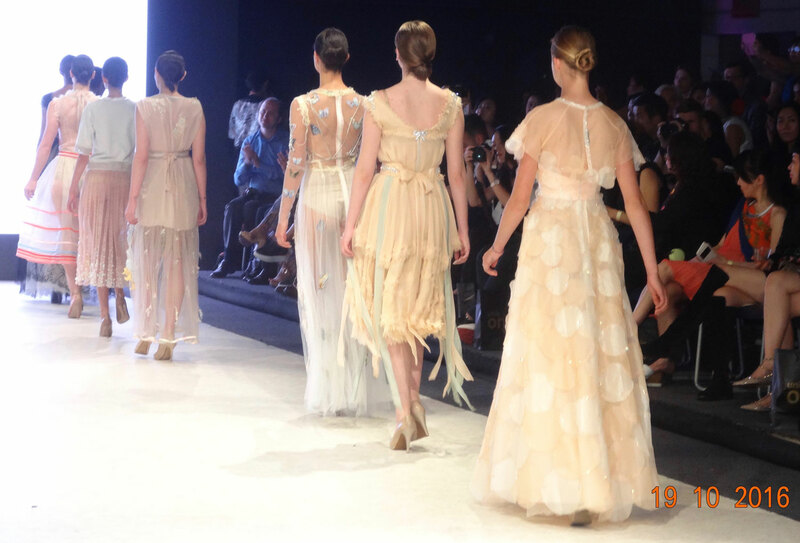 The atmosphere there, the intricate materials and the extensive process of manufacturing made it clear to him that he wanted to become a fashion designer. He then studied at the international famous ESMOD-school in Munich where his top marks and his final couture show were distinguished with the “Prix de Jury”. 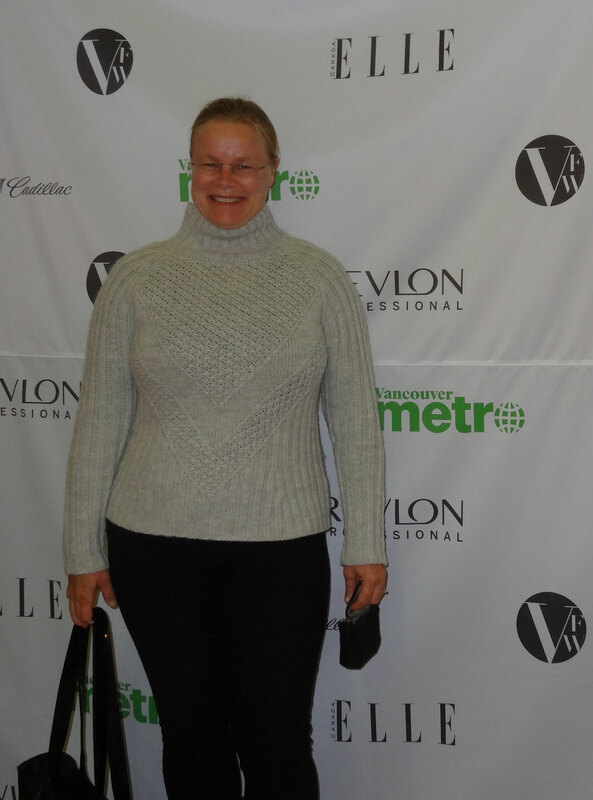 German-speakers in the Vancouver Fashion Week this Fall? The upcoming Vancouver Fashion Fall/Winter 2017 Season will begin with the Opening Gala on the night of September 19th. The event kicks off the week in style, creating local buzz and steering all attention towards the highly anticipated runway shows. The only German-speaker I could find is Simon Barth. Simon Barth, who lives and works as a Designer in Vienna today, has been impressed by Haute Couture and gorgeous embroideries since his early childhood. But the big news is that I discovered Simon was born and raised in Munich! He also lived in Berlin, but found it “too trashy”. He is happy in Vienna. His new collection “Dark Seduction 2016” is a elegant and mysterious trip on a sparkling garden full of obsession and fantasy. 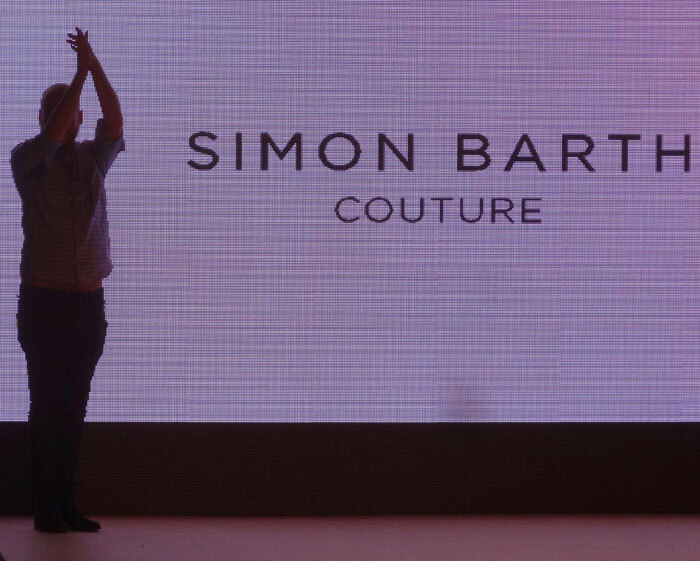 According to his own website, though, it says: Simon Barth präsentiert heuer auf der Vancouver Fashion Week seine Kollektion „Glimmering Transparency“.